Shelby County Schools (SCS) is the largest public school district in Tennessee and, with 100,000+ students, is one of the largest in the nation. Since 1984-85, East High School has operated a STEM and engineering Optional (magnet) program within its school. As a result, we believe that East High School is uniquely poised to continue a rich legacy as a STEM magnet high school. 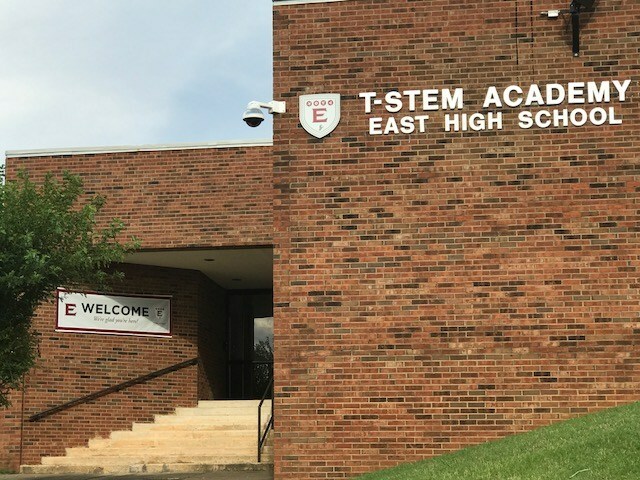 The T-STEM Academy at East High School, in partnership with The University of Memphis and various industry partners, will be a world-class magnet school providing a rigorous, college preparatory curriculum for students and preparing them for success in STEM careers including the transportation sector and beyond. 2012 suggested that STEM jobs will grow from 6.8 million to 8 million by 2018, with jobs requiring STEM competencies growing to 45 million. Researchers also state that STEM will provide 2.4 million job openings in 2018. Furthermore, as many as 92% of STEM jobs will require some post-secondary education and training. According to this study, for women and minorities, STEM is the best equal opportunity employer. A report by the Greater Memphis Chamber indicates that of the 26,467 recent graduates from 54 regional institutes of higher education (TN, MS, AR), only 876 were STEM majors (3.3%), indicating a significant need to produce more STEM graduates locally. In order for our country to prepare students to compete globally, we must provide a rigorous, college preparatory environment that recognizes students as unique individuals who have purpose and passions. For the economic health of Memphis as a whole as well as Memphis’ transportation sector, it is imperative that Shelby County Schools and other stakeholders in the Memphis area work together to grow the area’s STEM workforce. Shelby County Schools’ primary partner in this endeavor is the University of Memphis, which is home to the Intermodal Freight Transportation Institute (IFTI) and the Southeast Transportation Workforce Center (SETWC). The SETWC is one of five centers established by the U.S. Federal Highway Administration to lead transportation workforce development efforts across the country’s major physical regions and also coordinate a national network that can impact the country as a whole. SCS’s partnership with the University of Memphis will help ensure program quality and innovation through access to best practices and regional and national expertise.